Are you an accepted student? Do you want to know what it’s like to study at Saint Rose? When you become a Knight for a Day, you’ll shadow a current student throughout the day—and see for yourself how great Saint Rose can be. 8:30am: Check in at 1009 Madison Avenue, Albany (it’s the Thelma P. Lally building) to meet the student you’ll be shadowing, and grab a light breakfast. 3:30pm: Check out where you checked in, at the Thelma P. Lally School of Education. *Note that students will not be allowed to leave campus during the day visit. At 9 AM, there will be a parents’ information session, followed by a campus tour. If you’d like to meet with a specific office on campus, like Financial Aid or Academic Advisement, just let us know. Parents will be able to buy lunch in the Camelot Room or Main Dining Room—both in our Events and Athletics Center—or take the chance to explore Albany; there are great places to eat just a short stroll away. * Note that students will not be allowed to leave campus during the day visit. 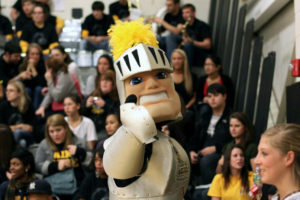 Click here for our Events Calendar to choose from the dates below, and become a Knight for a Day!